The pioneer years of the American motorcycle industry are poorly documented and murky, with complicated relationships between protagonists, including a free flow of ideas both across the Atlantic and within the US. The skills of an inventor, machinist, foundryman, bicycle builder, racer, promoter, entrepreneur, and manufacturer were rarely housed in one person, and shifting alliances were the norm at the turn of the Century between those with particular skills, and those who needed them. 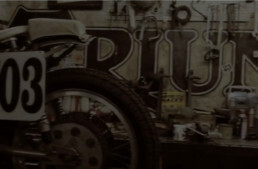 Drawing a clear line in the development of a brand – say, Indian, or Harley-Davidson – is always done backwards, and after the fact, and often leaves out important parts of the story in favor of a clear narrative. TheVintagent is pleased to include the research of Ken Aiken on the very early years of Indian, with its complicated web of influences and connections. Ken has dismantled assumptions and myths surrounding the creation of the company, in favor of what he could actually find in the historical record. His research is presented in 3 parts, and ends with as many questions as it answers, which only proves History is a living, evolving discipline, and taking a hard look at what’s ‘known’ is always worth the effort. Ken’s series is reproduced here by his kind permission. Popular history has the iconic Indian Motocycle Company starting in 1901 with the fortuitous partnership of Carl Oscar Hedstrom and George M. Hendee. In reality, the company that manufactured the motorcycle wouldn’t assume its popular name until November 1923. 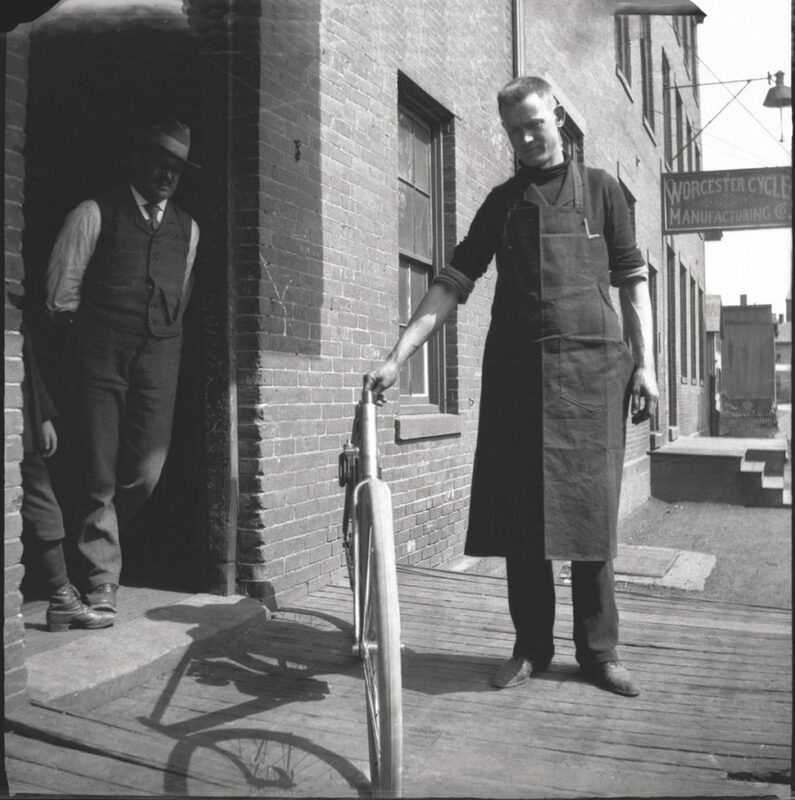 Before that it was known as the Hendee Manufacturing Co. and its first product was a bicycle. Yet the story actually begins two decades before that and reflects the transition that took place in America as bicycles morphed into motorcycles. In 1879 Albert Pope imported 50 high-wheel bicycles from England and three years later had acquired the Weed Sewing Machine Company—the foremost machine tool and forging factory in America—to manufacture his Columbia bicycles. 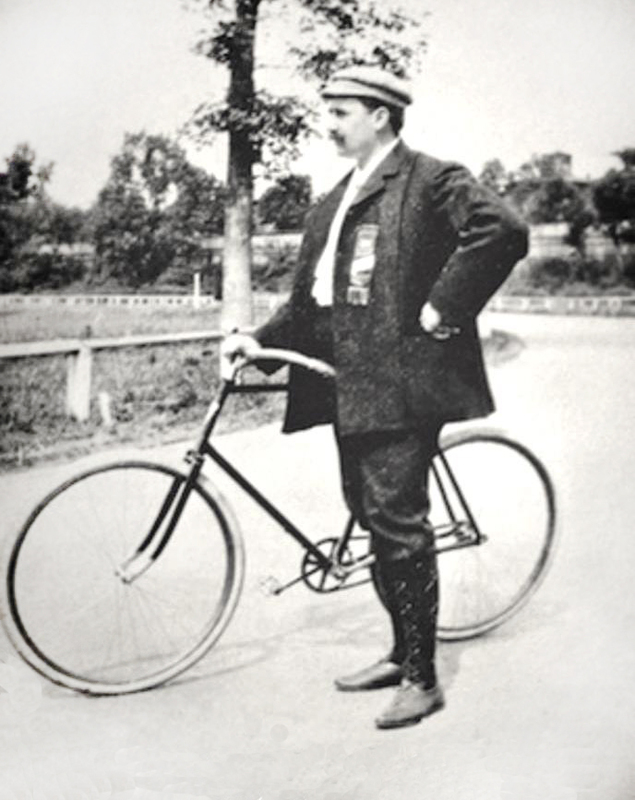 The 1880s experienced its first bicycle craze, which included the formation of local clubs, a national organization, long-distance touring and racing competitions. With a 1:1 pedal-to-wheel ratio and the diameter of the huge front wheel reaching up to five feet, these high-wheel bicycles required athletic strength and stamina to operate on competitive levels. From 1882 through 1886 the National Amateur High Wheel Champion was George Hendee and the speed record he established in 1886 wouldn’t be broken until 1892. George Mallory Hendee with one of his Silver King bicycles in the 1890s. America’s second bicycle craze came after the arrival of the safety or “ordinary” bicycle. The Overman Wheel Co. was the first to introduce this new design where the two wheels were not only smaller, but also the same size, and the new crank and chain allowed for more efficient—and faster—propulsion. The ordinary didn’t require athletic strength to operate: ladies and more dignified gentlemen now could respectably enjoy bicycling. In 1897 American industry would manufacture two million bicycles, or one for every 30 people in the U.S.A., and bicycle racing would become the most popular sport in America with over 600 professional racers on the circuit. 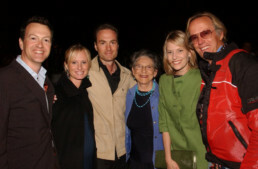 One of these was Carl Oscar Hedstrom. 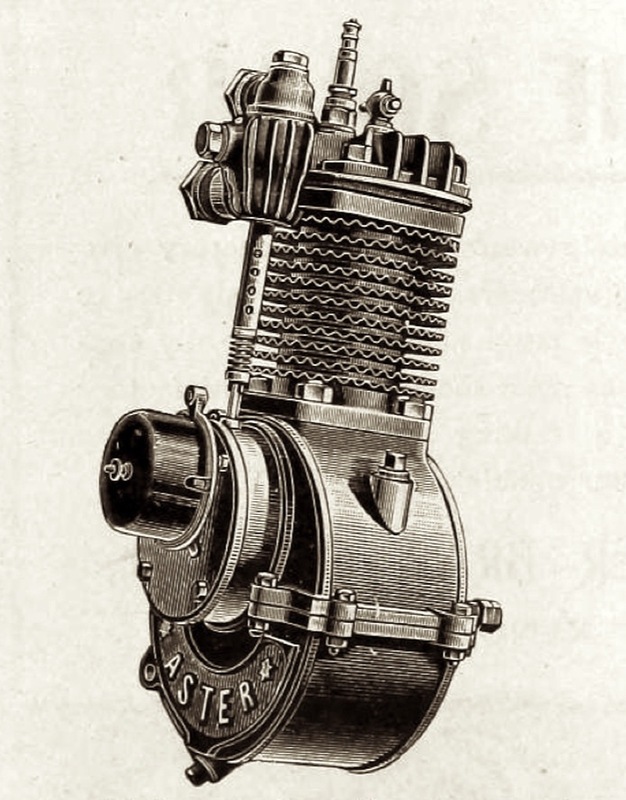 An Aster motor from 1900, as used in the very first American motorcycles, like the Orient. It was announced in January 1892 that George M. Hendee was managing the bicycle floor of the Hulbert Brothers store that sells King and Queen of Scorchers bicycles. 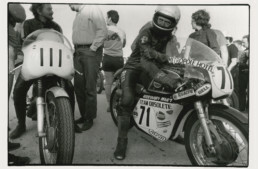 He was a racing legend and, although past his prime, still entered bicycle races. 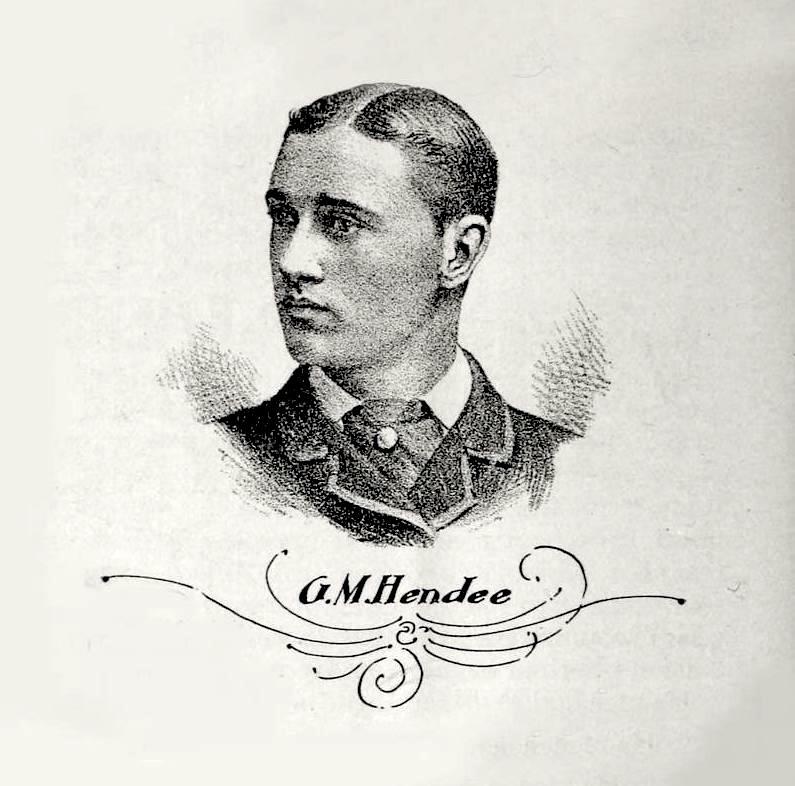 In March 1893, Hendee became the New England agent for Rudge, Sylph, and Overland bicycles. In July he was offered the presidency of Warwick Cycles, but declined. That year he also participated at the Springfield track as a judge and timer. In mid January of 1894 he sailed for England where he apparently made arrangements with suppliers of bicycle components. By December he had completed his models of the Silver King and announced an installment program that was to begin on January 1, 1895. 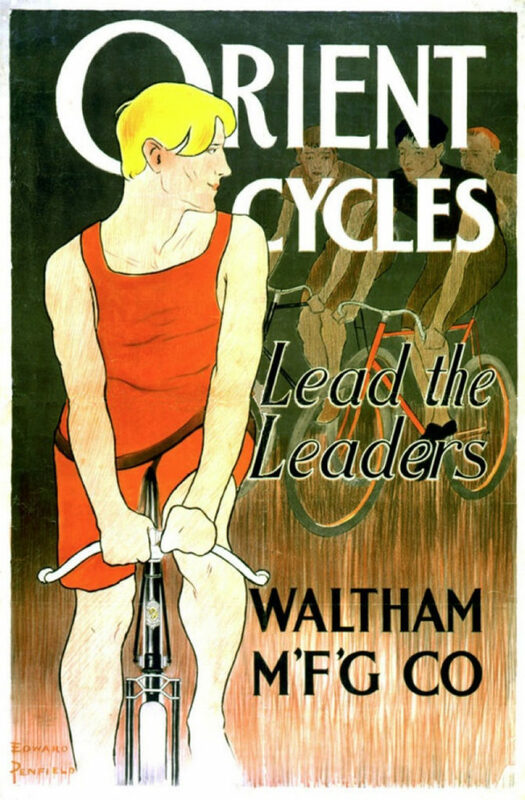 The first Silver King bicycle ad appeared in the January 4 issue of The Wheel. George Hendee made Silver King bicycles to order at his shop in the Stacy building at 41-43 Taylor Street in Springfield, Massachusetts, using parts imported from England. (At this time the Duryea automobile was being produced on the third floor of this building.) On November 23, 1895, Hendee sold half interest to Eddie Nelson, who had been working with him for the past year, and the business acquired a $10,000 loan from Nelson’s father-in-law, Mr. Holbrook. Hendee & Nelson Manufacturing Co. was formed and the shop expanded to include 10,000 sq. ft. on two floors at 478 Main Street. 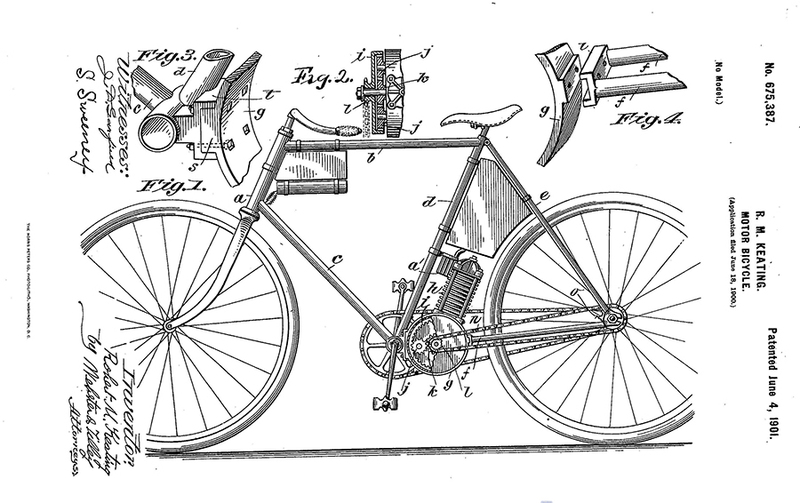 At this time there were two U.S. Patent Offices, one for bicycle-related inventions and one for everything else. Between 1890 and 1896, over $100 million had been spent on bicycles and fortunes were made in stock speculation of existing businesses; by the end of 1896 there were 300 bicycle manufacturing companies in the U.S. Wooden board-track velodromes across the country hosted events at which thousands of spectators attended. Bicyclists also were taking touring trips and railways advertised popular destinations for cycling tourists. The League of American Wheelmen (LAW) had over 100,000 members and actively lobbied Congress to support the Good Roads Movement. The R.M. Keating Motor Bicycle patent of June 4th, 1901. Keating’s workshop was in Middletown, CT, in the same neighborhood as Oscar Hedstrom’s workshop as he developed the first Indian prototype in 1901. Keating’s machine was finished – and patented – first, and Keating sued both Indian and Harley-Davidson for patent infringement. He won both cases! In March 1897 a legal notice was published in The Wheel: “The Hendee & Nelson Mfg. Co., 478 Main St, Springfield, Mass. will hereafter be known as E. H. Nelson & Co. Mr. Hendee will devote more of his time to the factory on Taylor Street.” On August 18, an attachment was levied by the court and all of the company’s assets were seized: the following month Hendee & Nelson Mfg. filed for insolvency. Like so many other bicycle companies, it failed because the market was glutted with over-produced inventory and cutthroat competition had slashed retail prices to the bone. However, George Hendee had an extensive family, business and industry network. He acquired the tools and inventory of his former company at auction, raised $5,000, and incorporated the Hendee Manufacturing Company in January 1898. His new line of bicycles was called Indian. Carl Oscar Hedstrom with the very first Indian prototype, built in a rented workshop in Middletown, Connecticut. The tool room of the Worcester Cycle M’fr Co on 24 Hamlin St, leased for $1/day, including power and tools. The prototype was completed in early May 1901, so this photo was likely taken in March or April 1901. Using parts imported from England and retailing his product at less than half the price of his competitors, George Hendee was selling 4,000 bicycles a year. However, the bicycle industry was in serious trouble. Albert Pope had managed to consolidate 73 different manufacturers into a trust called the American Bicycle Company, while numerous others—including Worcester Cycle Mfg.—declared bankruptcy or were forced to reorganize. Charles Metz’s Waltham Mfg, (Orient bicycles) became the exclusive American agency for the Aster motor in March 1900, the Orient Autogo tricycle—that with a fore-car attachment converted into the Autogo Quad—came out in April, the Victoriette Phaeton automobile was introduced in August, and the Orient Autogo cycle became available for sale by October. E.R. Thomas introduced their Auto-Bi motor cycle in 1900; so did the Marsh brothers, George Holley, and W. E. Steffey. The Cleveland Motor Tricycle came out in September and Keating’s motor bicycle was road tested by the press in December. In Springfield, where the Duryea brothers had established the first automobile factory in America in 1895, the Knox Automobile was offering their three-wheel carriage for sale, and the Hampden Mfg Co. was producing motors for bicycles. Hendee was an astute businessman and no doubt aware of whom was doing what and where the industry was headed. Read Part 2: ‘Hedstrom Sets the Pace’. Read Part 3: ‘The Indian Motocycle Is Born’. #2 is coming next week! I’m researching my own photos for the article to supplement the originals… In this case, I found that very rare photo of Hedstrom with Indian #1 after some deep digging…never seen it published before actually! That photo is in the archives of Lyman and Merrie Wood Museum of Springfield History – it was among photos of the donated Esther Manthos Collection and came from Helen Hedstrom Carlson. I considered using it for the Franklin’s Indians book, but ultimately did not have enough space for it. A pity that Oscar did not pose the machine side-on! Clearly he is being secretive. Yes, the original is there and the Museum of Springfield History granted me permission to publish it. The photo should be credited to the museum, but to be fair, the original feature of mine was published in ThunderPress and that journal removes attribution for images, hence The Vintagent didn’t receive such. It will be very interesting to find out whether a clear link can be established in the 1880s or 1890s between Hendee and William Huntington “Billy” Wells, Indian’s UK concessionaire 1908-1925 and architect of Indian’s 1-2-3 clean sweep of he 1911 Isle of Man Senior TT race. According to Billy’s son George Hendee Wells, who passed away only recently aged 94, his father was appointed Indian’s agent for UK and Europe by Hendee on the strength of an association they had with each other during the high-wheel (penny-farthing) era of cycle racing in the US. Wells was a cycle builder who by 1900 had moved into steam car manufacture and competition along with his brother, and it was in relation to steam cars that he first moved to the UK in 1902. Any evidence uncovered about a pedal-cycling connection between Hendee and Wells before the turn of the century will help to corroborate and further de-mystify the various threads and alliances running through this early period of motoring history. Sounds like we have a little digging to do… it’s amazing what turns up even at this late date.